​This is the Raspberry Pi X850 V3.0 USB 3.0 mSATA SSD Storage Expansion Board Module and new design Raspberry Pi X850 V3.0 Match Metal Case with Cooling Fan Kit, this X850 V3.0 kit can provide a complete storage solution for your Raspberry Pi mSATA interface solid-state drive (SSD), and support up to 1TB mSATA SSD and also support USB booting from your SSD. 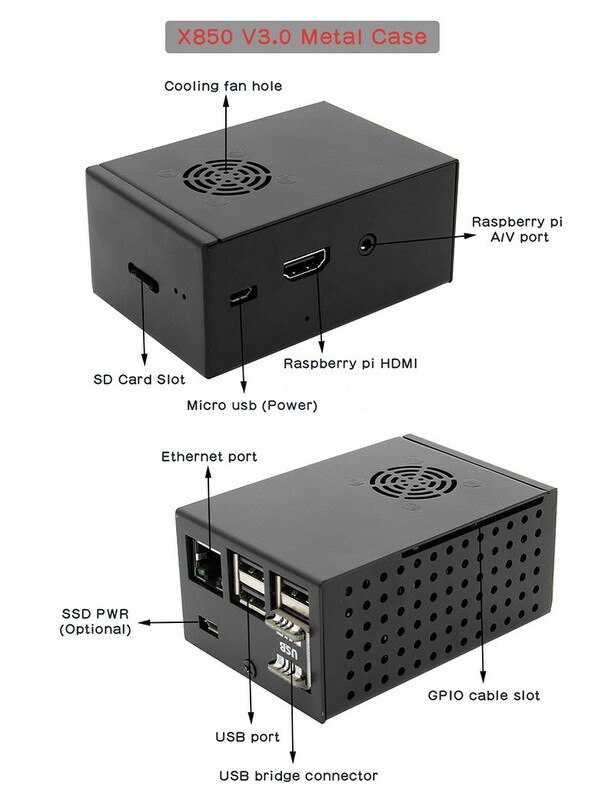 Raspberry Pi HAT size design,can be mounted under the raspberry pi, not occupy any ports or space of raspberry pi. When using the X850 V3.0 as a bootable hard disk, the problem of 'reboot' command is solved. Note: The X850 mSATA Expansion Board and Raspberry Pi board are both not included in the packing list.